Join us for a Q&A and booksigning event with the author of Cold Hot, a journey of sights and sounds through the most musical region in the United States, at the Delta Blues Museum in Clarksdale on Saturday February 25, 2017 from 1:00 pm - 3:00 pm. For Cold Hot, Poroger travelled nearly 2,000 miles through the states of Georgia, Tennessee, Mississippi, Louisiana and Texas, journeying along the legendary Blues Highway, Route 61, passing through landscapes that alternated between humble countryside lined with farmlands and opulent cities crowned with skyscrapers, but all with a common theme - the ever-present musicality. Few regions of the country offer such musical diversity, from old, sacred blues to country, branching through classic jazz and 50's rock and roll. Established in 1979 by the Carnegie Public Library Board of Trustees and re-organized as a stand-alone museum in 1999, the Delta Blues Museum is Mississippi's oldest music museum and the nation's first museum dedicated to the American art form known as the Blues. 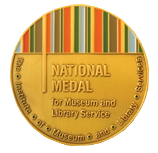 A 2013 recipient of the IMLS National Medal for Museum and Library Services - the nation's highest honor for museum and library service to the community - and a 2014 winner of the National Arts & Humanities Youth Program Award, the Delta Blues Museum is dedicated to creating a welcoming place where visitors find meaning, value and perspective by exploring the history and heritage of the unique American musical art form, the Blues. 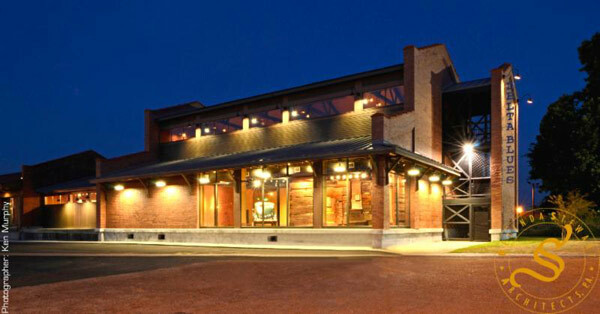 The Museum is honored to be a Great River Road Interpretive Center. The "Delta Blues Foundation" is a qualified 501(c)(3) tax-exempt organization that supports the work of Delta Blues Museum. All funds solicited through the Delta Blues Foundation are raised to benefit the Delta Blues Museum. On-line tax deductible contributions to the Delta Blues Foundation include the Deeper Roots program and the General Fund (a monetarily unrestricted contribution made to the foundation in support of the museum). Memberships and the Buy a Brick program are funded directly to the Delta Blues Museum and are not considered tax deductible. For more information on events or programs, please call (662) 627-6820, or visit the Museum web site at www.deltabluesmuseum.org.